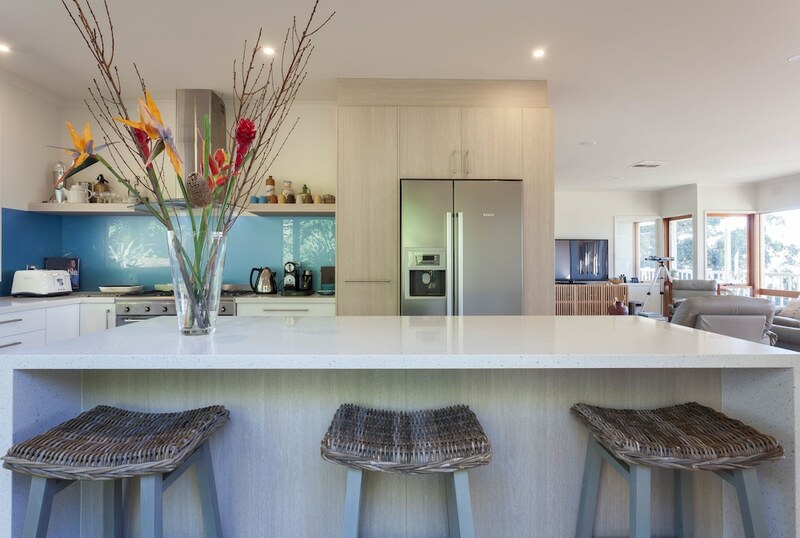 Located in Dromana, this vacation home is by the sea, within a 10-minute drive of Foxeys Hangout and Heronswood Garden. This 4.5-star vacation home is 5.2 mi (8.3 km) from Eldridge Estate of Red Hill and 9.2 mi (14.8 km) from Dromana Estate Winery. Make yourself comfortable in this individually decorated vacation home, featuring a kitchen with an oven and a stovetop. Your bed comes with a down comforter and Egyptian cotton sheets. A flat-screen television with cable programming provides entertainment, while complimentary wireless Internet access keeps you connected. A private bathroom with a separate bathtub and shower features a deep soaking tub and complimentary toiletries.